Bed Bath & Beyond® Campus Ready Sweeps & IWG – Win a 2018 Hyundai KONA AWD! Win a 2018 Hyundai KONA 1.6T Ultimate AWD & more! ENTER SWEEPSTAKES HERE – Bed Bath & Beyond Sweepstakes page. ENTRY LIMIT – Limit: Each entrant may receive one (1) Sweepstakes entry and one (1) play per day during the Promotion Period. 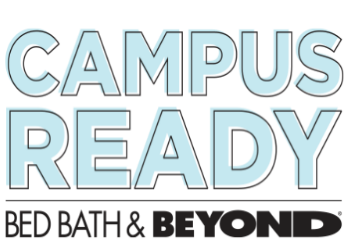 ELIGIBILITY – Bed Bath & Beyond® Campus Ready Sweeps (the “Promotion”) is open only to legal residents of the fifty (50) United States (including District of Columbia), and Canada (excluding Quebec) who are at least sixteen (16) years of age and older at the time of entry. SWEEPSTAKES ENTRY PERIOD – The Promotion begins on June 4, 2018 at 9:00:00 a.m. Eastern Time (“ET”) and ends on July 31, 2018 at 11:59:59 p.m. ET. and a Real Simple Room Makeover awarded as $2,000 USD in Bed Bath & Beyond® Gift Cards. Instant Win Game Prizes: One (1) prize will be awarded per day as outlined in the table below. WINNER’S LIST – For a winner list, visit http://bit.ly/2HKz862. The winner list will be posted after winner confirmation is complete.